Lurgan Champagne – better known as Buckfast – was not the flavour of the month for the judge last Friday at Craigavon Magistrates Court. 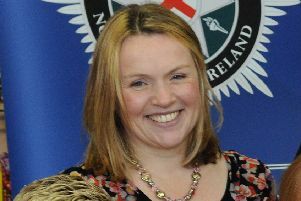 She was commenting during the case of Andrea Headley (26), Pinebank, Craigavon, who admitted disorderly behaviour, assaulting a constable and damaging a door belonging to the PSNI on December 6 last year. For each offence she was given a conditional discharge for 12 months. The court heard that at 12.30am police went to Pinebank where a male and female were arguing. Police were told ‘she had gone nuts’. Headley was heavily intoxicated and pointing at the male saying ‘I’ll f—king get you’. She kicked out at a constable hitting him twice in the chest and kicked a door in the custody suite twice. Judge Kelly said this was the ‘delights of Buckfast tonic wine’. A solicitor for Headley said she was a diabetic and with the combination of alcohol she was in a distressed state. She was going to her mother’s house to get insulin. He added that she was deeply apologetic for her behaviour on the night. Judge Kelly told the defendant she could not believe when the defendant had a condition like diabetes she would ‘risk your life for Buckfast’. The judge added: “I hate the smell of it. I don’t know how anybody drinks it. The only reason is to get drunk as humanly possible.